The Division of Family and Children Services’ Caregiver Recruitment and Retention Unit is honored to announce the launch of its’ Caregiver Notification and Response System. The Caregiver Notification and Response System represents an efficient and effective way to relay information between Foster and Adoptive Caregivers and the Division. Through this platform, currently active Foster and Adoptive Caregivers will be automatically enrolled to receive pre-recorded voice messages via telephone from the Division of Family and Children Services. 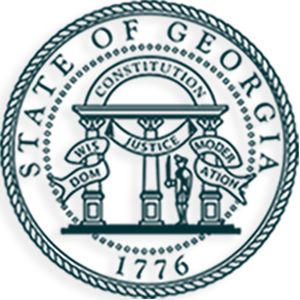 These voice messages will be automatically sent from (877) 210-5437 to the preferred telephone access numbers listed for the Primary Caregiver in Georgia SHINES. These voice messages will deliver information regarding upcoming trainings, policy updates relative to your role as a caregiver, weather emergencies, and much more. They may also provide instruction for you to visit our website www.fostergeorgia.com for additional details. Foster/Adoptive Caregivers may also receive text message alerts from the Caregiver Notification and Response System on your wireless mobile device. Caregivers can opt-in to this feature by texting the word “HOPE” to 877-210-KIDS (5437). Text messaging rates from your wireless carrier may apply. We recognize the value in providing necessary information to our partners promptly and efficiently. We are optimistic that this platform will improve our engagement with Caregivers and increase your awareness of training opportunities and other supports available to you. Please note that during voice messaging, there may be a slight 5 to 10 second delay before you hear the recording. If the call is not answered, you will receive a voicemail with the recorded message. For questions regarding the system, please call 1 (877) 210-KIDS and select option 2 to speak with a Caregiver Navigator.